In recent years, the interest in art as not only pleasure, but an investment as well, grew exponentially. The numbers are there to testify, too : we have 4.3 billion euros in the annual turnover of the art market, making it some 86% of an increase in worth since 2001 ; and let us remember that the current record price at auction is whopping $170,4 million ! Apart from being able to take our breath away, art is also a tangible asset, but as such, it needs to be treated that way too. At We Art Partners, you get exactly that – a partner in art. This company manages private and corporate collections, provides fiscal and economic solutions (such as the solution of lease with an option to buy) for your investment, and takes care of your logistic needs: seeking artists, and the transport, the hanging and the insurance of artworks. We caught up with Gary Grauzam, founder of We Art Partners, so we can talk about the team behind this successful platform and why they should be your choice in the bright future of art collecting. Scroll down ! Widewalls: Let’s introduce We Art Partners in the words of its Founder. What kind of services do you offer to your clients? Gary Grauzam: We Art Partners is a company specialized in Art Investment and Art Asset Management. 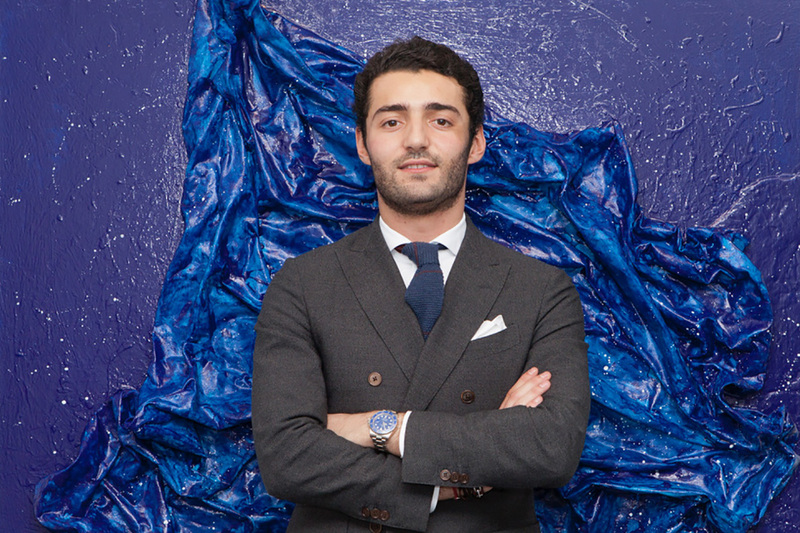 On our board, we have Art Advisors, who help manage private collections and corporate ones. We advise collectors on the development and creation of collection according to the tastes and expectations of collectors. We constantly keep an eye on art. This is accomplished through the study of the results of the auctions of the auction houses, as well as the deciphering of the trends of the Art Market, for example by traveling to and visiting each international art fair. Furthermore, our mission is to find taxes and economic solutions to maximize your investments in Art and facilitate funding. We have put solutions in place to optimize investment in Art. LOP (leasing with the option to purchase), credit and co-investment are a part of those solutions. Widewalls: Who are the people behind We Art Partners? Who is your team composed of? GG: Our team includes: – Experts in taxes and management – Art Advisors specializing in various fields – from Modern Art to Contemporary Art, Urban Art, Asian Art and African Art, etc. We are able to answer all requests of our collectors. Widewalls: What can you tell us about Co-Investment and LOP, as the options you offer? GG: Co-Investment allows a small group (5 to 10 person Max) to buy an artwork The goals are : – to buy works of art that collectors do not want to buy alone due to budget restrictions. – to be able to lend the works to various other collectors, (or leave them in their storage of choice) – for French collectors : the amounts invested are 100% exempt from EWB (ISF). Prior to the purchase, we set up the clauses relating to this joint ownership with the co-owners, including the resale conditions according to performance criteria. In a way, we contract the exit conditions before the acquisition. The LOP is a solution for the financing of works of art. This allows companies and the liberal professions, without personal contribution: – to provide smooth step-by-step investment over time (on average 36 months) – to deduct all the rent amounts from their taxable results because the rent amounts are operating expenses – to become the owner of the works at the end of the rental period for 5% of the amount to be financed. In short, in addition to the daily pleasure that a work of art brings, it allows to capitalize while being tax-exempt. Widewalls: Mr. Grauzam, you come from a family with an extensive art collection and have a history in the field of advisory services. What made you put these two passions together? GG: I was born and raised in an art environment. When I was a teenager, I started my own collection. I have always been passionate about art and have been on the lookout for the latest exhibitions or projects of artists I followed. My training as a chartered accountant taught me to question and decipher different market situations. It was these experiences that shaped my service to the collectors. In the majority of cases, these collectors are enthusiasts of art or are on the way to becoming one. My role is to pass on my passion and expertise. My job is to join my passion and my expertise. Widewalls: What was the experience you brought from your previous job, at Grant Thornton? GG: Grant Thornton is one of the most famous international audit and accounting firms. As a consultant, I have refined my ability to read financial statement which I still use every day when we organize funding plans for our clients and we study their advantages. Widewalls: What is the most common problem an art collection owner faces today? GG: The problems common to collectors concern the choice of works, the artists and the budget. In a globalized art market, the choices are increasingly difficult. The number of artists is ever expanding, so the question is: Who and what to choose, and why? Unless you can buy everything, you have to know how to make these choices. Decrypting trends is complex and problematic for collectors. Another problematic point for collectors is the budget: creating a collection remains an onerous passion. That is why we have set up very interesting financing solutions. Widewalls: Where do you see the state of the art market today? How will it work in the coming years? GG: The art market has become global. It is international. Today, I have the opportunity to buy or sell an artwork in one click from or to someone on the other side of the world. The world is becoming aware of the importance of its culture, and some countries that once could not afford to make themselves visible in the market are very visible today. In particular, I am thinking of Africa, where real talents have been discovered in recent years. Nearly 10% of the transactions of the Art market take place via Internet. In the years to come, this will only increase. We arrive in a market of Art 2.0, online galleries and online sales houses are developing and institutions open their collections on the internet. This is good for democratization and the development of this market. Widewalls: What would you think of a young collector, just starting out in the building of a collection? GG: First, they must buy what he likes. Too many people buy according to the purchases of others. You can be advised, but above all – you have to have fun when collecting. The pleasure is in the supporting of an artist by the acquisition of their work, and to follow the artist in their various projects. This is the best part of a collector’s passion! Leasing of works of Art, leasing with option to purchase of works of Art, financing Art, tax optimization of works of Art.